Please Join DataSolutions For Our Upcoming Nutanix Certified Systems Engineer Training on Monday, 15th April at DataSolutions’ Offices, Dublin. The Nutanix Systems Engineer (SE) Academy builds on your technical knowledge, showing you how to effectively position and differentiate Nutanix solutions and leverage Nutanix tools and collateral relevant to the sales process. The Nutanix SE Academy has been redesigned and rebuilt from the ground up to deliver the real-world skills and knowledge needed for successful Systems Engineers. The Nutanix Certified Systems Engineer: Level 1 Exam tests candidates on their skills and abilities speaking to, evangelizing and differentiating Nutanix technologies. This workshop runs through all of the topics listed in the exam blueprint to assist you in gaining this certification. 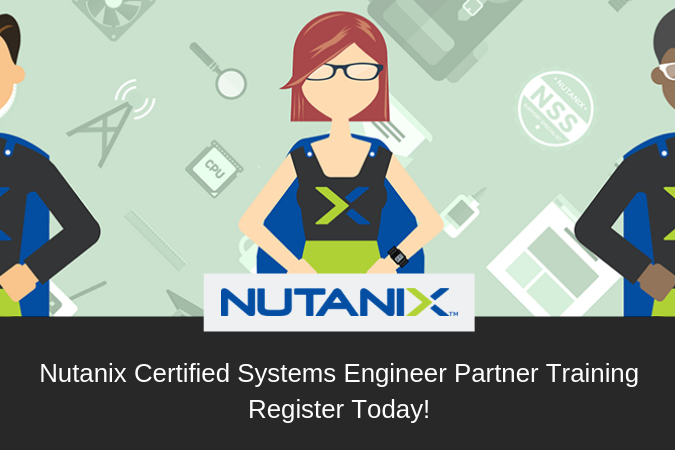 Please Note: You must have either Nutanix Certified Professional (NCP) 5.5 or Nutanix Platform Professional 5.0 (legacy) certification as a pre-requisite to taking the NCSE: Level 1 exam and this workshop. Places on the course are limited so make sure to reserve yours today! We look forward to seeing you on Monday, 15th April.